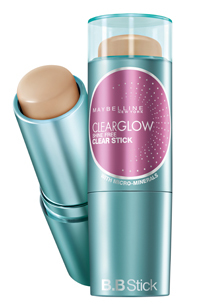 What's a BB Stick & how is it different from Maybelline Clear Glow BB Cream? 4. Sweat-resistant and sebum - resistant formula leaves skin fresh all day. plz inform me the online site to buy this..
Shall probably do the review on my blog tomorrow. Cynthia! We need a review of the Maybelline BB Stick, ASAP....Please! Around the time I used the BB stick, my acne (which was still around, but under some control) exploded all over my face. It took me a while to figure out that the only thing it might be was the BB stick itself! I'm not sure whether it's a contact thing, or it just wasn't the right thing for my acne-prone skin (despite the salicylic acid. But I stopped using it, and my skin sloooooooowly healed back to my "normal" acne levels. So... Yeah, I'm not using this agai.